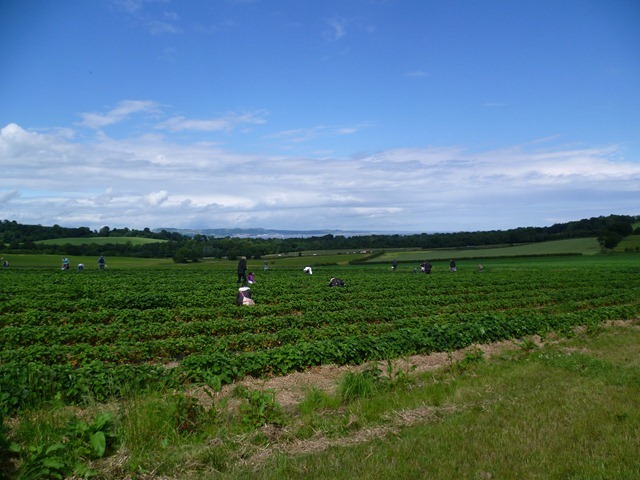 Last weekend we eventually visited Craigies Farm in South Queensferry. 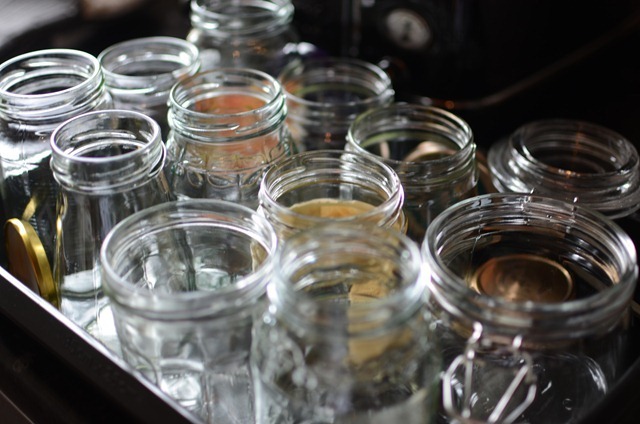 We have been talking about it for years and now I eventually have collected enough old jam jars, so it was time to go! 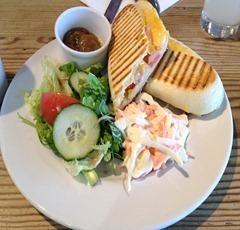 We had a spot of lunch there to build up the energy to go fruit picking. 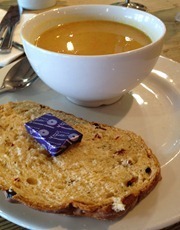 A lovely bowl of homemade Lentil Soup and Paninis were the order of the day, and both of us enjoyed our choices. After lunch we picked up 2 large baskets (though stupidly didn’t ask how much each basket held!) and went off into the fields. 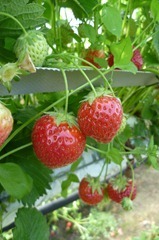 The first section of strawberries seemed to have been affected by the weather and there weren’t as many pickable fruits, and a lot still to ripen. 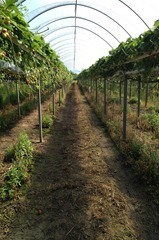 However the polytunnels at the end of the field were bounteous in supply, and I got a little carried away and picked nearly 3kgs as it turned out when we went to pay! 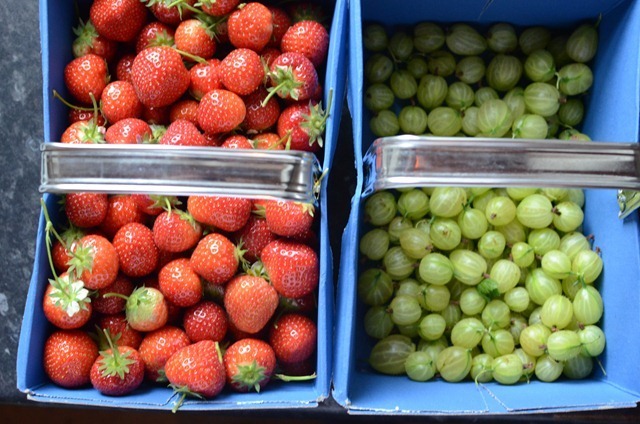 There was a small section of gooseberries, but the bushes were plentiful and again I got a little carried away but not as bad as the Strawberries – only 1kg this time! 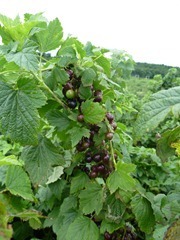 We also passed blackcurrant and redcurrant bushes which both looked full of fruit, but since I already took 2kgs of blackcurrants from Stuart’s Dad, I don’t think I’ll be needing any for a while! 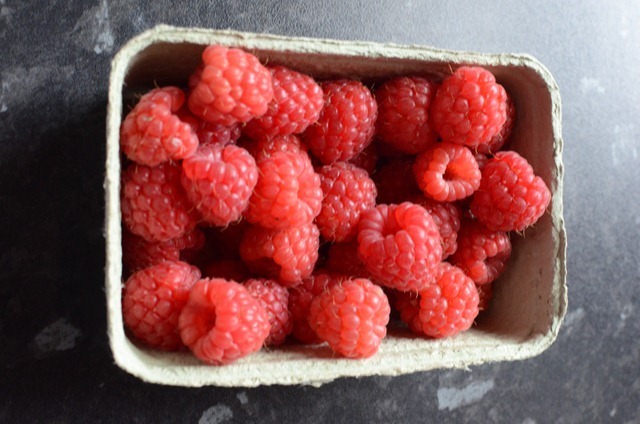 The raspberries unfortunately had taken a bit of a battering by the weather, but we managed to lift a punnet of pre-picked ones. Place the strawberries into a large bowl with 500g/18oz of the sugar and turn carefully to mix and coat well, then cover with cling film and place into the fridge overnight. Let the jam cool and thicken in the pan for ten minutes, so that the strawberries don’t all sink to the bottom in the jam jars. 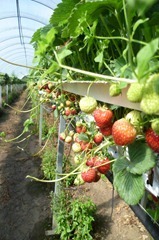 Wow those strawberries looks amazing! And I’m impressed with your jam making skills, I’ve never really got the hang of it. The whole setting point process gets me all panicky! 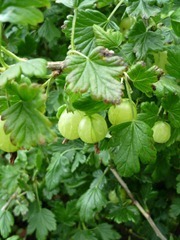 They were so tasty – really juicy! It was more the case of one for the jam one for me while making it! Thank you! Its the first time I have made jam on my own, and I agree that whole setting point thing is tricky, I was getting worried in case I’d go beyond and ruin it all! 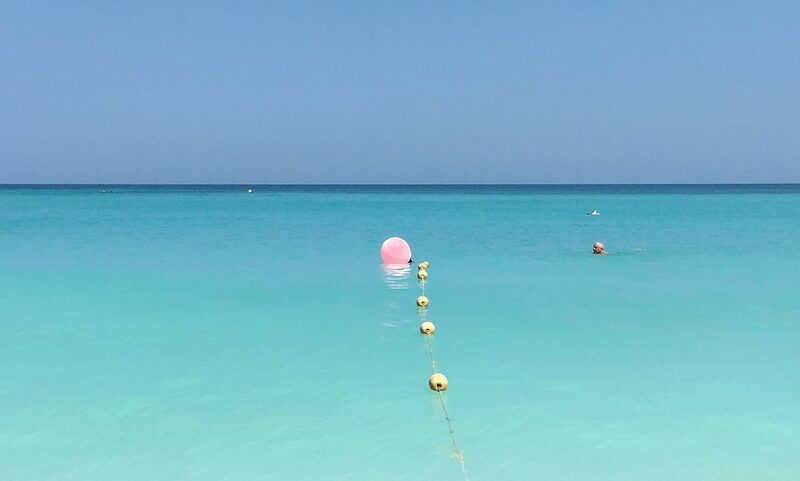 As it is – probably could have done boiled it for a wee bit longer! Oh well its now easier to spread onto toast / pour over ice cream!! Craigies is fab – I hadn’t been until a few weeks ago either, and it was the perfect Saturday morning out with my strawberry obsessed 2yr old!!! 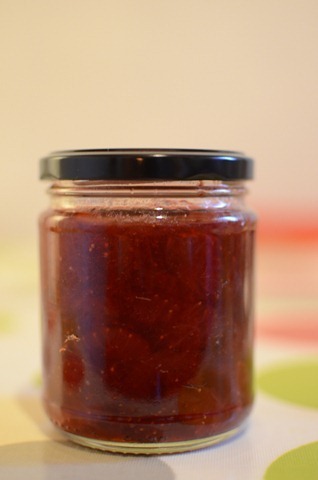 Your jam looks lovely.